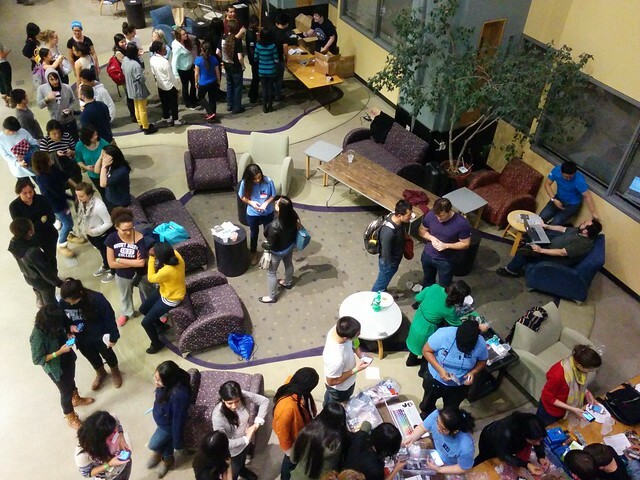 Last Friday was the Hack Holyoke 24-hour embedded systems hackathon, held at Mt Holyoke College. Of the 200 participants, well over half were women from the Seven Sisters schools and many were attending their first hackathon. 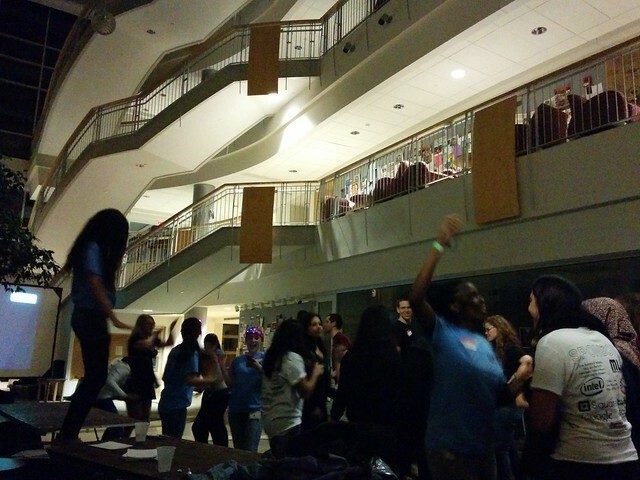 One of the distinguishing features of this hackathon was a 2am dance party! Every event should include one. You can read @HackHolyoke twitter stream and read on for some photos of a few of the teams.